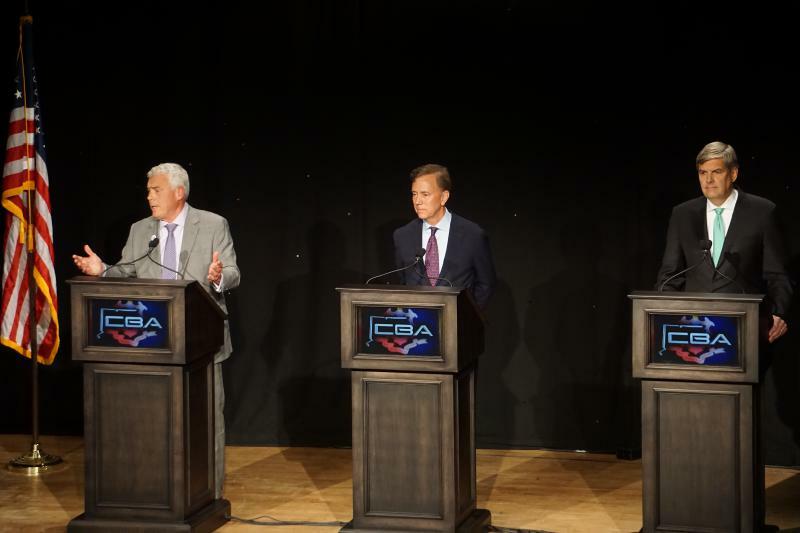 The race for governor heated up Monday over a squabble about the state’s minimum wage. Democrat Ned Lamont’s campaign charged that Republican Bob Stefanowski plans to repeal Connecticut’s $10.10 per hour minimum wage — a charge the GOP nominee immediately denied. 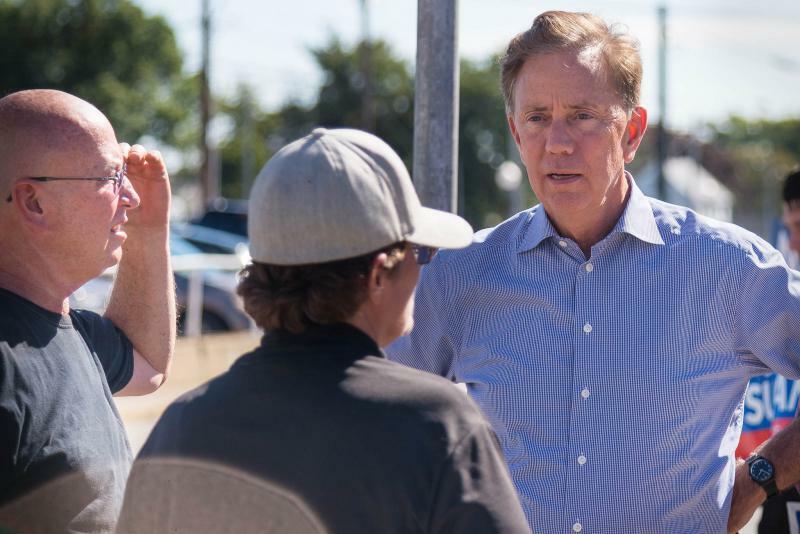 The Stefanowski camp then fired back that Lamont’s support for raising the minimum wage to $15 per hour would weaken already struggling small businesses across Connecticut. Needless to say, Stefanowski does not support the increase. So how did this volley over the minimum wage begin? The Lamont campaign held a mid-morning press conference on the Capitol’s eastern steps and called out the Republican candidate for supporting its repeal. Eliminating the state minimum wage entirely “is a radical idea that would drive people out of the state of Connecticut,” Susan Bysiewicz, Lamont’s running mate, said during the press conference. As evidence of Stefanowski’s position, the Lamont campaign uploaded a 31-second video to its Youtube account that shows the GOP nominee discussing the minimum wage at a campaign event in northeastern Connecticut. The problem is the video opens with an unnamed individual asking Stefanowski about the prospect of raising the minimum wage, not about eliminating it. “Bob says nothing about a zero-dollar minimum wage, someone else does,” Stefanowski spokesman Kendall Marr pointed out Monday afternoon. But labor leaders and others charged Monday that Stefanowski has made his intentions clear, and that tens of thousands of minimum-wage earners in Connecticut would face a pay cut under his administration. Repeal of the state minimum wage not only would likely drive wages for tens of thousands of Connecticut residents down to the federal base rate of $7.25 per hour, but would impose a disproportionate burden on minorities and women, Bysiewicz said. About 41 percent of African Americans and 54 percent of Latinos in Connecticut earn less than $15 per hour, she said, adding that women are 25 percent more likely than men to earn less than this key threshold. Lamont isn’t the only one to endorse a $15 per hour minimum wage. It also has the backing of the Connecticut AFL-CIO, many Democrats in the state legislature, and the legislature’s bipartisan Commission on Fiscal Stability and Economic Competitiveness. The commission recommended raising the minimum wage, though, as part of a holistic package of changes that also included a major reduction in state income tax rates, a $1 billion cut in the state’s annual operating budget, and installation of electronic tolling on highways to fund a major transportation infrastructure rebuild. The GOP nominee has been consistent throughout the campaign, both in his opposition to raising the state minimum wage and in never calling for its repeal, Marr said. This claim is consistent with a question-and-answer interview published online in the Fairfield County Business Journal on Oct. 21. In that interview, Stefanowski was asked about raising the minimum wage from $10.10 per hour to $15 per hour. Marr added that Lamont and Bysiewicz’s attack is a “rather blatant misrepresentation” of Stefanowski’s position. “Now is not the time to raise costs for our struggling small businesses that are already being taxed out of their minds and relocate to other states,” he said. 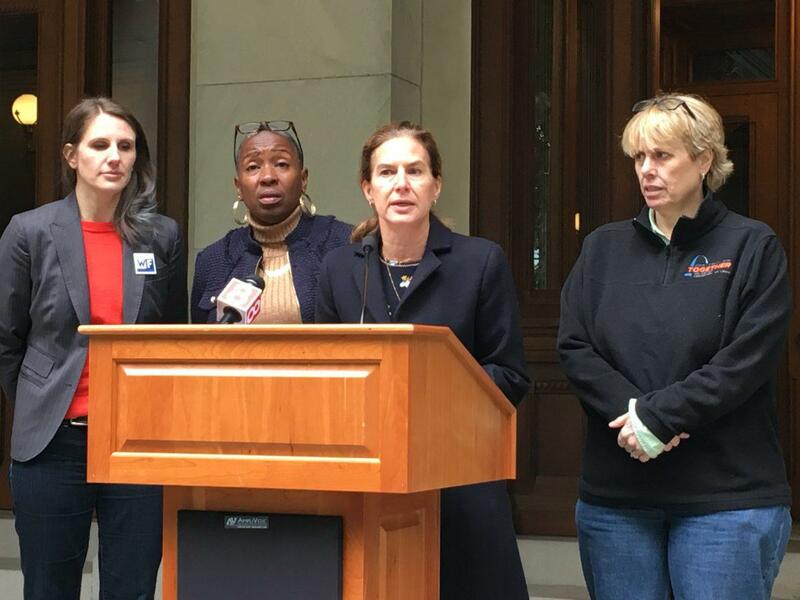 Bysiewicz was joined in her press conference by Connecticut AFL-CIO President Lori J. Pelletier, state Rep. Robyn Porter, D-New Haven, Hartford Mayor Luke Bronin and Connecticut Working Families Party Executive Director Lindsay Farrell. “This is a person who is not anywhere near the center of the political spectrum,” Bronin, a Democrat, said of Stefanowski. This report was originally published on CTMirror.org. Republican Bob Stefanowski’s bold promise to eliminate Connecticut’s income tax over eight years came under withering attack Thursday by Democrat Ned Lamont and Oz Griebel, a petitioning candidate struggling to be taken seriously in the waning weeks of the race for governor.